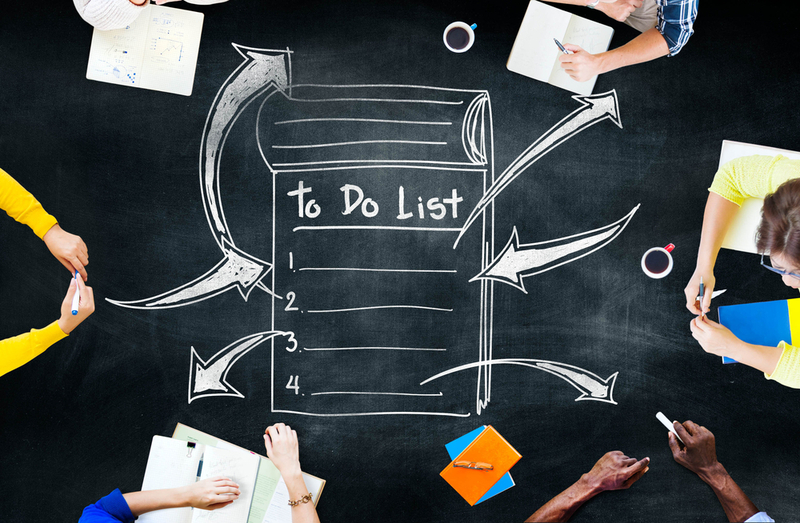 Here’s a simple and easily doable way to manage your list of ever-mounting tasks. On especially busy days, our lives can feel uncomfortably full. 24/7 connectivity and its demands on our time and attention have only exacerbated the feeling that we’ll never get on top of our ever-growing to-do lists. In fact, 8 in 10 Americans consider themselves stressed, according to Gallup — and 4 in 10 U.S. adults feel that they’re incapable of accomplishing all they want to in a given day. Consequently, the tasks that aren’t urgent — like returning a library book, organizing your junk drawer, or reaching out to a friend you haven’t seen in a while — can pile up with stress-inducing speed. To help you scale your growing mountain of incomplete tasks, Gretchen Rubin, happiness expert and author of Outer Order, Inner Calm, recently offered some smart, practical tips. Her advice to CNBC speaks to one of our guiding principles at Thrive Global: that the Microstep of breaking seemingly insurmountable tasks into small, doable ones will have a positive impact on your life. This one may seem obvious, but too few of us do it: Make an organized list of your errands, and check them off upon completion. Letting the tasks swirl messily around in your head will only worsen your stress. Putting them on paper, though, will give you a sense of control over them. But be sure to break each to-do down into a small and attainable goal (i.e. organize my t-shirt drawer, as opposed to organize my entire closet). Each time you complete a task and check it off, you’ll experience a pleasing dopamine rush that will help keep you motivated. Rubin advises setting aside one hour — what she calls the “power hour” — each weekend to tackle your list. Scheduling it like an appointment will encourage you to take it seriously, and structuring a focused hour around it will help you put those easily forgotten tasks on center stage. As Rubin puts it: “Things that can be done at any time are often done at no time.” So make it count: Carve out a small slice of weekend time and get it done. If a whole hour over the weekend feels as overwhelming and impractical as your many tasks, try breaking it down into five 12-minute intervals over the week, and chip away at each task incrementally. At Thrive, we call that a Microstep — a little actionable change that is too small to fail.